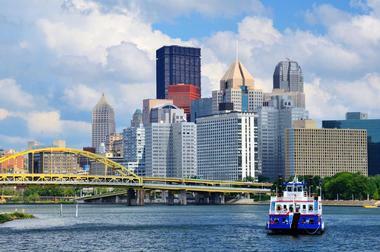 Pittsburgh is a down-to-earth city that is packed with things to see and do for kids. The city is endowed with a wealth of world-class museums and attractions, bustling restaurants, coffee shops and cafés. 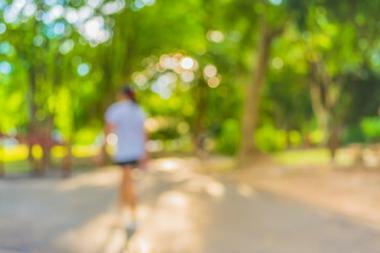 There are plenty of parks and urban spaces in which to relax and soak up the scene. Carnegie Museum of Natural History is dedicated to inspiring and educating the public about the natural world and human cultures. Located on Forbes Avenue in the neighborhood of Oakland, the Museum was founded by industrialist Andrew Carnegie and is ranked as one of the top five natural history museums in the country. The Museum features over 10,000 specimens on display in 20 galleries and over 20 million specimens cataloged in online databases on the Museum’s extensive research library. World-renowned exhibitions include the “Dinosaurs in Their Time” exhibition, which presents the third largest collection of mounted, displayed dinosaurs in the country. The Carnegie Museum of Natural History also offers a range of educational and community-based outreach programs for learners of all ages. The Children's Museum of Pittsburgh is a hands-on interactive children's museum that has consistently been voted one of the best spots for kids in the country. 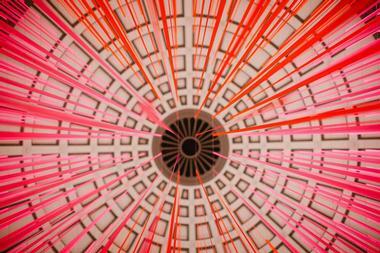 Located in the Allegheny Center neighborhood in Pittsburgh's Northside, the 80,000-square-foot space houses several ongoing exhibits as well as rotating exhibits, including interactive areas such as the Attic, the Garden, the Garage, the Theater, the Studio, Waterplay, and the Nursery. Iconic puppets like Henrietta Pussycat and Lady Elaine Fairchilde put on a show in the Fred Rogers and Us exhibit, while Thomas and Friends and Mo Willems are on show in the summer. The Children's Museum of Pittsburgh also presents a wide variety of programs for children of all ages in various fields ranging from rocket-building and robotics to quilting, Japanese paper cutting, and dancing. The award-winning Carnegie Science Center inspires and entertains visitors from around the world by connecting science and technology with everyday life. 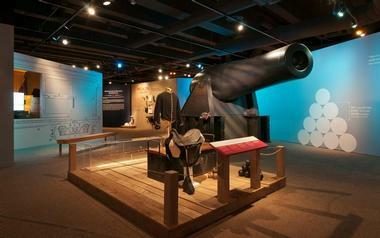 Located on along the banks of the Ohio River, the Center features a variety of popular attractions, including the newly constructed Buhl Digital Dome, the Rangos Omnimax Theater, an authentic Cold War-era submarine, the USS Requin, and roboworld™ - the world's largest permanent robotics exhibit. 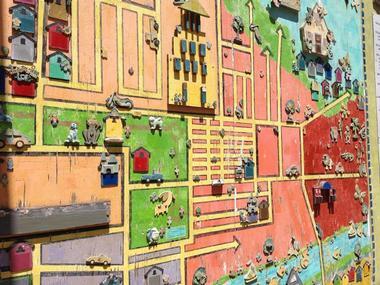 Explore hundreds of tiny historic local landmarks at the Miniature Railroad & Village, brave kinetic energy as a human yo-yo at Highmark SportsWorks, or head into space at SpacePlace, a walk-in replica of the International Space Station. The Pittsburgh Zoo and PPG Aquarium is home to a plethora of animals representing more than 400 species, 22 of which are critically endangered. Located in Highland Park, the Zoo and Aquarium sit on 77 acres (31 ha) of parkland which feature a range of habitats and ecosystems for the facility’s animals to thrive, including the African Savannah, the PPG Aquarium, the Asian Forest and the Bears. Striving to foster active, lifelong connections between animals and people, the Zoo and Aquarium offer several educational programs and conservation projects to educate and inspire visitors to take an interest in the natural world, including overnights at the zoo, teen programs, and an exclusive wildlife academy. The Senator John Heinz History Center is part of the Smithsonian Institute and is dedicated to the rich of Western Pennsylvania. Located on Smallman Street in the heart of Pittsburgh, the five-story museum features a variety of interactive exhibits and immersive experiences for children of all ages to enjoy, such as a collection of original antique vehicles, including a fire engine, a trolley, and Heinz ketchup delivery truck. Other attractions include an interactive play zone, an 11-foot ketchup bottle at the Heinz exhibit, and a Special Collection of extraordinary items from Mister Rogers’ Neighborhood like the Great Oak Tree, King Friday’s Castle, and McFeely’s Speedy Delivery tricycle. Located on Pittsburgh’s historic North Side, the National Aviary is one of the foremost bird sanctuaries in the country, home to more than 500 birds from 150 different species from across the globe, many of them threatened or endangered in the wild. The National Aviary features extensive, interactive exhibits that visitors can walk through to allow for an intimate interaction with the free-flying birds, and once-in-a-lifetime opportunities to hand feed and meet many rare species. The National Aviary is also home to the Department of Conservation & Field Research that studies the impacts of human population on birds and the environment through conservation and biodiversity programs. It also offers a range of educational programs for learners of all ages, which include field trips, summer camps, and workshops. Dedicated to the world-renowned Pittsburgh-born pop artist and cultural icon Andy Warhol, the Andy Warhol Museum is the largest museum dedicated to a single artist in the country. Located on the North Shore of Pittsburgh, the museum has 17 galleries that boast an extensive permanent collection of the artist’s works, ranging from the early to the formative years, including 900 paintings, 77 sculptures, 4,000 photographs, and close to 2,000 works on paper. 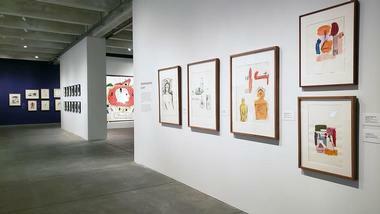 The collection also features over 1,000 published unique prints, and over 4,350 Warhol films and videotaped works. The basement of the museum houses a studio where visitors can create their pop art creations, and other fun activities include a Warhol photobooth and screen test. Highland Park is a beautiful urban park set within the neighborhood of the same name that features a large reservoir surrounded by grassy lawns, shady picnic areas, and a loop walking and jogging trail around the lake’s perimeter. Established in 1879 as a source of drinking water for the city, the reservoir soon became a favorite spot for the public to gather and was made into an official park 20 years later. Today, the park features sand volleyball courts, a swimming pool, and a bike track, and is home to the Pittsburgh Zoo and PPG Aquarium. A beautiful garden and Victorian-style gathering place with a fountain, reflecting pool, and benches for relaxing can be found at the entrance of the park. 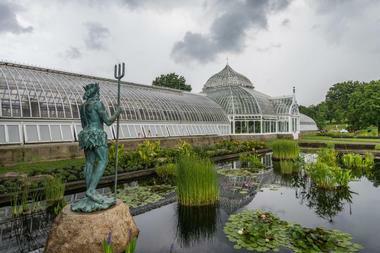 World-renowned for being one of the ‘greenest’ buildings in the world, the Phipps Conservatory, and Botanical Gardens was founded in 1893 by steel and real-estate baron Henry Phipps and is one of the oldest and largest Victorian ‘glass houses’ in the country. Designated as a National Historic Landmark, the award-winning Lord & Burnham Conservatory is made up of 13 silvered, glass-encased domes that cover flourishing garden rooms filled with myriad exotic plants and flowers. The conservatory is surrounded by 2.5 acres of pristine landscape, which features lush, manicured gardens, tranquil ponds, and tinkling fountains. The Conservatory houses several permanent and seasonal exhibits throughout the year, including a fantastic garden railroad display in the Palm Court, an incredible collection of rare orchids and bonsai trees and a beautiful outdoor rose garden and lily pond. Klavon's Ice Cream is a charming old-school spot that serves Penn State Creamery ice cream, milkshakes, sundaes, floats and other sweet treats in a casual, friendly setting. 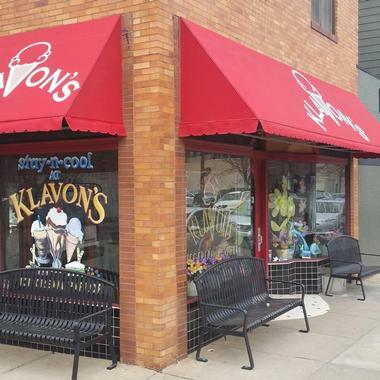 Located in the Strip District of Pittsburgh, Klavon's Ice Cream Parlor is a Pittsburgh tradition and has been serving delectable treats for more than 95 years. Opened in 1923 as a neighborhood apothecary and ice cream shop by James and Mary Klavon, the café has withstood the test of time, and after being transformed into a full-service ice cream parlor by the Klavon’s eight grandchildren and a cousin, Klavon's Ice Cream is still the neighborhood go-to for something sweet. Located in the Senator John Heinz History Center, the Western Pennsylvania Sports Museum is a museum-within-a-museum that captures and documents the importance of sport to Pittsburgh, particularly American football. Home to the Super Steelers, the museum explores the Steelers dynasty and celebrates the history of the home team and the 40th anniversary of their first world championship in Super Bowl IX. 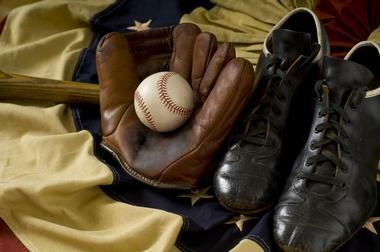 Visitors can experience the region’s proud football legacy by discovering how the region produced nearly 50 professional quarterbacks dozens of All-Americans; make a perfect pass, try on a Super Bowl ring; view uniforms and equipment from past Super Bowl championships, and a wave a Terrible Towel in the special Steelers Nation fan section. 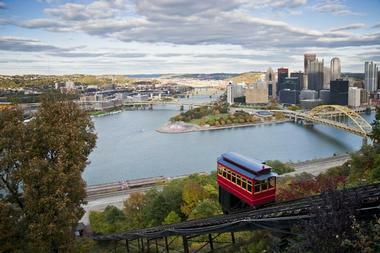 The Duquesne Incline is a funicular that travels up Mt. Washington in Pennsylvania providing one of the most breathtaking skylines in the world. 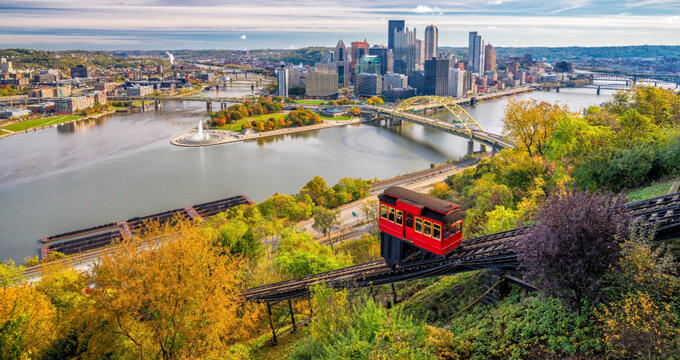 Located near Pittsburgh's South Side neighborhood, the funicular was designed by Samuel Diescher in 1877 and measures 400 foot in height and is 800 feet long with an incline of 30-degrees. The historic car has been making the journey up, and down the hill for the past 140 years and at the end of the trip, visitors can enjoy some of the most spectacular views of the surrounding region from viewing spots on the top Mount Washington. Once at the top, head to DeFiores for an ice cream cone while enjoying the scenic views over Grandview Avenue. 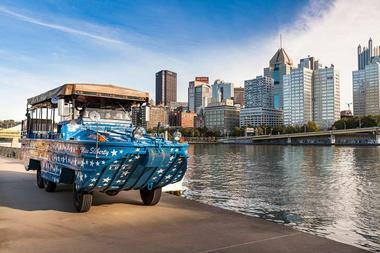 Experience Pittsburgh in a unique and fun way on a Just Ducky Tour of the city in a WWII amphibious vehicle. See the city by land and water as the water-loving cars drive along the streets like regular cars and dive into the Allegheny River to become floating boats. The fully narrated one-hour tours take you through the streets (and river!) of Pittsburgh exploring the rich history and geography with interesting snippets of information from the tour guides along the way. 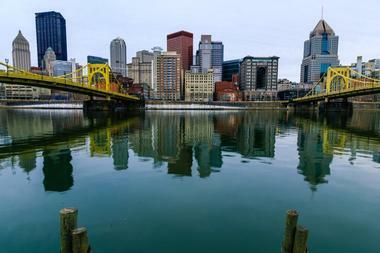 One of Pittsburgh's most beloved and longest running tours, the Just Ducky Tours start in the historic Station Square district and travel through the Cultural District of downtown, passing famous attractions and sights such as the Heinz Field and golden triangle and plenty of bridges. A 1.5-hour walking tour of Heinz Field can also be added. Located in Station Square, the Gateway Clipper Fleet is a Pittsburgh-based fleet of riverboats that offer a variety of cruises, from sightseeing cruises and day trips to formal dinner cruises and private celebrations. Founded by John E. Connelly, the fleet was once moored at the Monongahela Wharf but was moved to Station Square in the 1950s where they are moored today. Named after the city of Pittsburgh, which was known as the "Gateway to the West" in its earlier days, the Gateway Clipper Fleet cruises the three rivers of Pittsburgh – the Allegheny, the Monongahela, and the Ohio throughout the year. 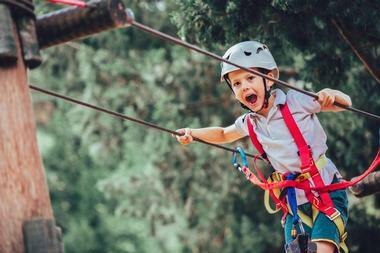 Kennywood Amusement Park is a family-friendly play park with six major roller coasters, water rides, and slides, themed rides, a kid’s playground and a variety of shows. Founded in 1868, Kennywood Amusement Park is one of the oldest amusement parks in America and one of the country's best-loved traditional amusement parks, especially with roller coaster fans. The park features six major roller coasters, including the traditional Thunderbolt to the state-of-the-art Phantom. Old-school rides include the Turtle which has been around since 1927, while the Black Widow is a new thriller. Kiddieland provides fun for young visitors with an array of rides, while several food concessions around the park serve casual fare such as burgers, hot dogs, and ice cream. Founded by Syd and Moe Simon during the Pittsburgh Pirates’ memorable 1960 World Series Championship season, the Original Hot Dog Shop is still going strong serving all-American fare such as burgers, hot dogs, franks and fries, along with over 400 specialized microbrews and craft beers. Located near the University and known locally as "the O," the Pittsburgh institution and favorite college hangout has received national and international acclaim for its delicious food, an excellent array of beers and other drinks and casual, laid-back atmosphere. The diner-style eatery boasts comfortable décor and an upstairs room is perfect for private events and functions for up to 90 people. The Original Hot Dog Shop is open seven days a week for breakfast, lunch, and dinner. The Market Square Farmer’s Market is held every Thursday between May and November on the Historic Market Square, which rests in the center of Downtown Pittsburgh and is the beating heart of the district. Renovated, refreshed, reinvigorated, the Market is a hive of activity and is home to a wealth of restaurants, cafés and bars, eclectic boutiques and quirky stores. Once home to the city’s first courthouse, jail, and newspaper, the Pittsburgh Gazette, today the square attracts locals and visitors to enjoy the vibrant energy, dine at one of the many eateries around the plaza and relax with friends. The Square also hosts some events throughout the year, such as the region's best Farmers Markets and the annual Light-Up Night®, which kicks off the holiday season. 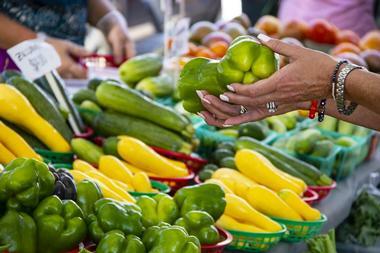 The Market Square Farmer’s Market brims with carts selling seasonal produce such fresh fruit and vegetables, homemade treats such as pierogi, and handmade arts and crafts. 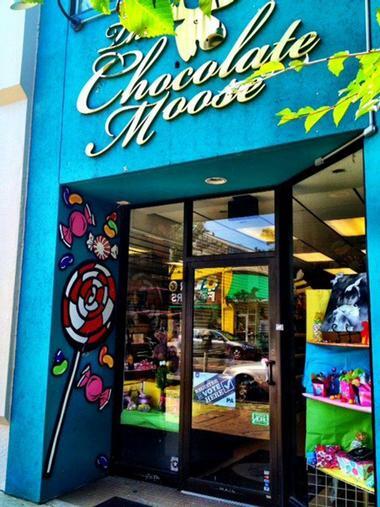 The Chocolate Moose is a specialty chocolate and candy shop that has been satisfying sweets lovers and chocoholics for almost 20 years. Located on Forbes Avenue in the Squirrel Hill business district of Pittsburgh, the Chocolate Moose sells a wide range of handmade chocolate and sweet sugary confections. Whether you are looking for a sweet treat or a special gift, the shop is brimming with a wealth of delicious chocolates and sweets, such as truffles, caramels, artisan, handmade and imported chocolate bars, chocolates, gummies, jelly beans, holiday and seasonal confectionary, and unique gift boxes. Kayak Pittsburgh is a kayaking rental concession with three convenient locations around Pittsburgh that offers guided trips, kayaking instruction, and equipment rental. Owned and operated by Venture Outdoors, Kayak Pittsburgh offers trips on the three rivers in the heart of Pittsburgh - the Allegheny, the Monongahela, and the Ohio, along with the tranquil waters of North Park Lake. Guided kayaking trips are led by professional guides who also teach beginners how to kayak and feel safe on the water before heading out. Kayaking programs and guided tours include beginner paddles, fireworks paddles, full moon paddles and more, and kayaks are available to rent seasonally. 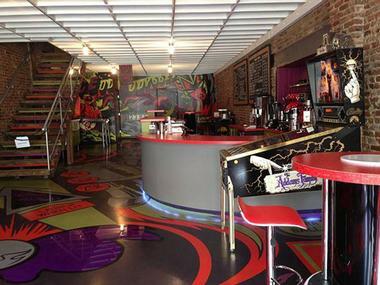 The Kickback Pinball Café is a vibrant and eclectic spot with funky décor and pinball machines that serves a casual menu of gourmet and specialty sandwiches, fresh salads, and a variety of drinks from locally brewed coffee, milkshakes, and cold brews. Located on Butler Street, the Kickback Pinball Café is one of Pittsburgh’s premier silver ball spots and the only location that offers pinball exclusively. The café hosts a weekly league night that attracts pinball experts and enthusiasts alike and is open for lunch and dinner, Tuesday through Thursday. The Gemini Musical Theatre Company, known initially as the Warrington Light Opera, is a community musical theatre company that presents a six-show season every year, along with a few concerts, and a special Christmas show with a full orchestra. The Gemini Theater Company was established to cultivate and promote creativity and imagination through the performing arts and to encourage an interest in and love of theater. The theater’s shows are original, adapted musicals that have been adapted from classic children's stories and are geared for children and families and consist of both adult and student actors alike. All sets, costumes, props, etc. 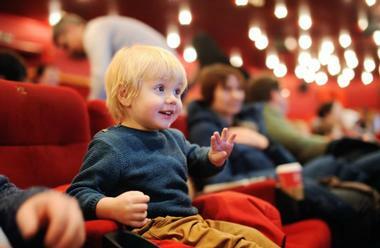 are built on-site, and fund from ticket sales support the theater. 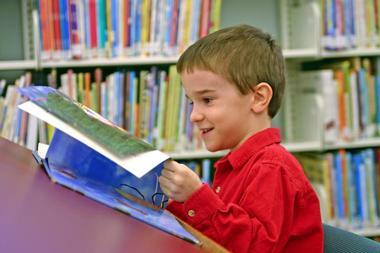 Carnegie Library of Pittsburgh is Pittsburgh’s public library system with its main branch in the Oakland neighborhood and 19 branch locations throughout the city. Built in 1895 with the aim of empowering people through unlimited access to literature, life-long learning, and digital literacy, the Carnegie Library of Pittsburgh offers a wide array of services, including book borrowing, meeting spaces, public computers, wireless Internet, and printing services, music resources, resume help and career guidance, small business help, help for non-profit organizations, and guided tours of the main branch in the Oakland. The Pittsburgh Photographic Library is an extensive photography repository that boasts over 50,000 prints and negatives relating to the history of Pittsburgh. Randyland is the brightly painted and eclectically decorated home and art museum of Pittsburgh artist and neighborhood renovator Randy Gilson. Hailed as ‘the most painted house in the galaxy,’ the landmark building is vividly painted and features an array of upbeat artifacts, objects, and murals and has helped to transform this blighted neighborhood corner in Pittsburgh’s Mexican War Streets into a psychedelic dream and one of the most colorful spectacles in the city. Functioning as a home, garden and artist’s space, the house is decorated with bright pink flamingos, odd mannequins, mismatched lawn furniture, giant banana plants, and plastic dinosaurs and this candy-colored ‘anti-depressant’ of a structure has influenced the gentrification of other buildings and areas throughout the neighborhood.